Replacement Ceramica dual flush red twin cable valve. This is the dual flush red cable valve as fitted in the low 820mm inwall frame sold by Ceramica. 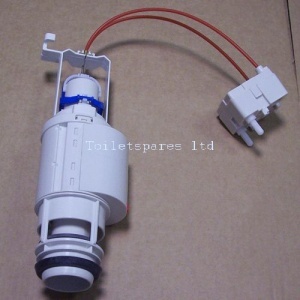 This valve is operated by the Ceramica Plate Two version we stock TS427 off our cable operated flush plate page.